Welcome to Antonelli’s Advanced Automotive! 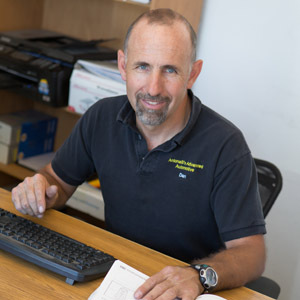 For nearly two decades, Antonelli's Advanced Automotive has provided Grand Junction area drivers with quality auto repairs and personally-tailored preventive maintenance services. If you value keeping your vehicle in good condition, and getting the most bang for your hard-earned buck, we’re the auto repair shop for you. We have many customers who plan to keep their cars going strong after 200,000 miles, and we are helping them do that. Let us help you, too! With the right care, your car can go the distance. 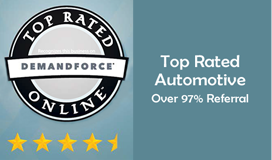 Antonelli’s Advanced Automotive strives to provide cost-effective, quality repairs and service to our customers’ vehicles, resulting in many years of safe and reliable transportation. We are honest and will not sell unnecessary repairs or service. In addition to serving our customers with honest car care advice and first-rate auto repairs, we make it a priority to give back to our community whenever and wherever we can. Antonelli’s supports the Colorado Plateau Mountain Biking Trail Association (COPMOBA) by sponsoring trail building events, The House (a shelter for teens) by doing coat and food drives, Orchard Mesa Middle School library by sponsoring a 5K fundraising event, St. Jude Children’s Hospital, and Wheels to Prosper by giving away a car every six months. We also donate auto repairs and other vehicle services to those in need and hold car care classes at our shop. Giving Back Drives Us Forward! We also recycle many fluids, parts, boxes, and metal. At Antonelli's Advanced Automotive, our mechanics are trained and qualified to handle all the repairs and maintenance you may need for your vehicle, and we’ll help you make a plan for smart, well-timed service. Our shop offers annual inspections, giving you a good overall evaluation of your vehicle, and together, we can prioritize issues, so you know what’s important now and what automotive services can be put off until later. We love our customers, and always want to make sure you have a good experience with us. 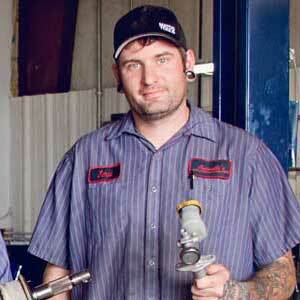 The mechanics we hire at Antonelli's Advanced Automotive care about cars and our customers. All of us are eager to stay on top of the latest technology in the automotive industry, and the shop takes pride in being as clean, comfortable, and efficient as possible. We work on both older and newer vehicles, including vehicles other shops will not work on, like Mazda, Acura, Infinity, hybrids, and diesels, and we’re known for our ability to diagnose difficult problems. Antonelli's Advanced Automotive is proud to be part of the warm and welcoming western culture Grand Junction is known for, from our orchards and vineyards to our famous mountain bike trails to our downtown farmer’s market and festivals in the summertime. The Grand Valley is a great place to live, and together with our neighbors, we work hard to protect our beautiful scenery, parks, and rivers, so they may be enjoyed by all. Our shop is located southeast of downtown Grand Junction just off the Riverside Parkway, and close to the Riverfront Trail and the Colorado River. We’re near Colorado Mesa University, Las Colonias Park, SSD Plastics, and Safety Kleen. We serve all the surrounding communities, including Colbran, Fruita, Fruitvale, Clifton, Palisade, Loma, Mack, Delta, and Debeque. If you live in the Grand Junction area, give Antonelli's Advanced Automotive a call the next time you need auto repairs or service!